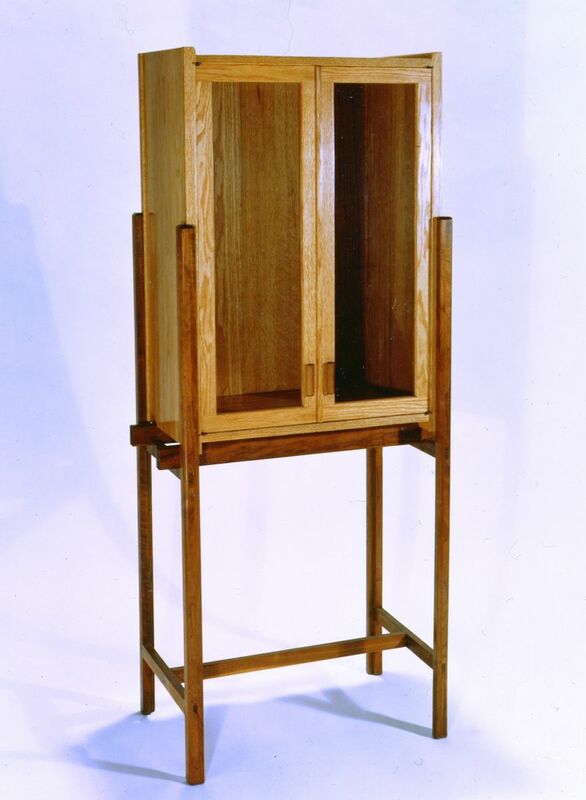 This display cabinet has a Walnut base constructed wit wedged through-tenons. The case is White Oak and has 2 glass shelves. Dimensions: 18" x 28" x 68"